Management skills can be defined as certain attributes or abilities that an executive should possess in order to fulfill specific tasks in an organization. They include the capacity to perform executive duties in an organizationCorporate StructureCorporate structure refers to the organization of different departments or business units within a company. Depending on a company’s goals and the industry which it operates in, corporate structure can differ significantly between companies. Each of the departments usually performs a specialized function while avoiding crisis situations and promptly solving problems when they occur. Management skills can be developed through learningCorporate DevelopmentCorporate development is the group at a corporation responsible for strategic decisions to grow and restructure its business, establish strategic partnerships, engage in mergers & acquisitions (M&A), and/or achieve organizational excellence. Corp Dev also pursues opportunities that leverage the value of the company’s business platform. and practical experience as a manager. The skills help the manager to relate with their fellow co-workers and know how to deal well with their subordinates, which allows for the easy flow of activities in the organization. Good management skills are vital for any organization to succeed and achieve its goals and objectives. A manager who fosters good management skills is able to propel the company’s mission and visionVision StatementA vision statement describes what a company desires to achieve in the long-run, generally in a time frame of five to ten years, or sometimes even longer. It or business goals forward with fewer hurdles and objections from internal and external sources. Management and leadership skills are often used interchangeably as they both involve planning, decision-making, problem-solving, communication, delegation, and time managementTime ManagementTime management is the process of planning and controlling how much time to spend on specific activities. Good time management allows an individual to complete more in a shorter period of time, lowers the amount of stress, and leads to career success. This guide provides a list of the top tips for managing time well. Good managers are almost always good leaders as well. In addition to leading, a critical role of a manager is to also ensure that all parts of the organization are functioning cohesively. Without such integration, several issues can arise and failure is bound to happen. Management skills are crucial for various positions and at different levels of a company, from top leadership to intermediate supervisors to first level managers. 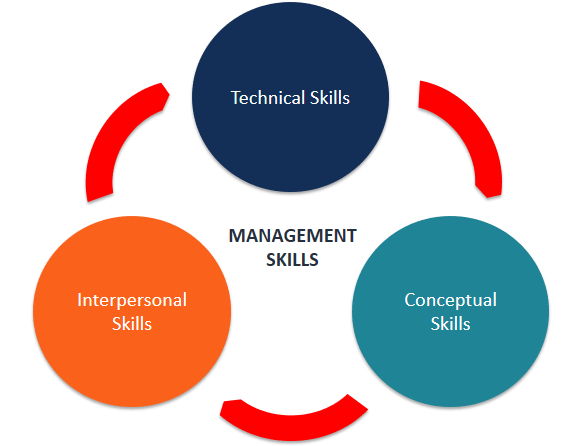 Technical skills involve skills that give the managers the ability and the knowledge to use a variety of techniques to achieve their objectives. These skills not only involve operating machines and software, production tools, and pieces of equipment but also the skills needed to boost sales, design different types of products and services, and market the services and the products. These involve the skills managers present in terms of the knowledge and ability for abstract thinking and formulating ideas. The manager is able to see an entire concept, analyze and diagnose a problem, and find creative solutions. This helps the manager to effectively predict hurdles their department or the business as a whole may face. The human or the interpersonal skills are the skills that present the managers’ ability to interact, work or relate effectively with people. These skills enable the managers to make use of human potential in the company and motivate the employees for better results. Planning is a vital aspect within an organization. Planning is one’s ability to organize activities in line with set guidelines while still remaining within the limits of the available resources such as time, money, and labor. It is also the process of formulating a set of actions or one or more strategies to pursue to achieve certain goals or objectives with the available resources. The planning process includes identifying and setting achievable goals, developing necessary strategies, and outlining the tasks and schedules on how to achieve the set goals. Without a good plan, little can be achieved. Possessing great communication skills is crucial for a manager. It can determine how well information is shared throughout a team, ensuring that the group acts as a unified workforce. 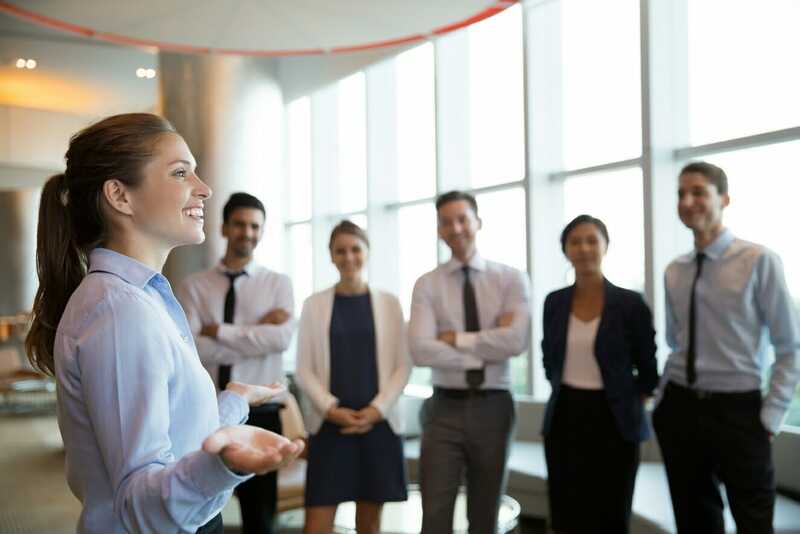 How well a manager communicates with the rest of his team also determines how well outlined procedures can be followed, how well the tasks and activities can be completed, and thus, how successful an organization will be. Communication involves the flow of information within the organization, whether formal or informal, verbal or written, vertical or horizontal, and it facilitates smooth functioning of the organization. Clearly established communication channels in an organization allow the manager to collaborate with the team, prevent conflicts, and resolve issues as they arise. A manager with good communication skills can relate well with the employees and thus, able to achieve the company’s set goals and objectives easily. Another vital management skill is decision-making. Managers make numerous decisions, whether knowingly or not, and making decisions is a key component in a manager’s success. Making proper and right decisions results in the success of the organization, while poor or bad decisions may lead to failure or poor performance. For the organization to run effectively and smoothly, clear and right decisions should be made. A manager must be accountable for every decision that they make and also be willing to take responsibility for the results of their decisions. A good manager needs to possess great decision-making skills, as it often dictates his/her success in achieving organizational objectives. Delegation is another key management skill. Delegation is the act of passing on work-related tasks and/or authorities to other employees or subordinates. It involves the process of allowing your tasks or those of your employees to be re-assigned or re-allocated to other employees depending on current workloads. A manager with good delegation skills is able to effectively and efficiently re-assign tasks and give authority to the right employees. When delegation is carried out effectively, it helps facilitate quick and easy results. Delegation helps the manager to avoid wastage of time, optimizes productivity, and ensures responsibility and accountability on the part of employees. Every manager must have good delegation abilities to achieve optimal results and accomplish the required productivity results. Problem-solving is another essential skill. A good manager must have the ability to tackle and solve the frequent problems that can arise in a typical workday. Problem-solving in management involves identifying a certain problem or situation and then finding the best way to handle the problem and get the best solution. It is the ability to sort things out even when the prevailing conditions are not right. When it is clear that a manager has great problem-solving skills, it differentiates him/her from the rest of the team and gives subordinates confidence in his/her managerial skills. The ability to motivate is another important skill in an organization. Motivation helps bring forth a desired behavior or response from the employees or certain stakeholders. There are numerous motivation tactics that managers can use, and choosing the right ones can depend on characteristics such as company and team culture, team personalities, and more. There are two primary types of motivation that a manager can use, which includes intrinsic and extrinsic motivation. Management skills are a collection of abilities that include things such as business planning, decision-making, problem-solving, communication, delegation, and time management. While different roles and organizations require the use of various skillsets, management skills help a professional stand out and excel no matter what their level. In top management, these skills are essential to run an organization well and achieve desired business objectives.